Google officially announced the successor to the Nexus One — The Google Nexus S, a sleek, contoured phone developed in collaboration with cellular phone giant Samsung. The Nexus S is the maiden device installed with the Android 2.3/Gingerbread OS, promising quicker performance, user interface refinements, NFC support, a new keyboard and text selection tool, Internet (VoIP/SIP) calling, improved copy/paste functionality and gyroscope sensor support. One of the notable physical attributes of the Nexus S is its slightly curved body. The phone neatly tucks in the palm of your hand and facial contours, unlike many phones that feel like chiseled blocks of technology. The 4″ screen features a super AMOLED display, something that I have actually seen only in another phone, the Samsung Galaxy S (which is a good choice if you’re looking at prepaid T-Mobile phones). Super AMOLED makes looking at your phone a visual experience in itself. Icons and pictures are sharper in detail, and colors are much more vivid. The 1GHz Hummingbird processor is nothing to be scoffed at either; although coming from the same manufacturer, it’s even snappier than the iPhone 4’s A4 processor (hurrah!). 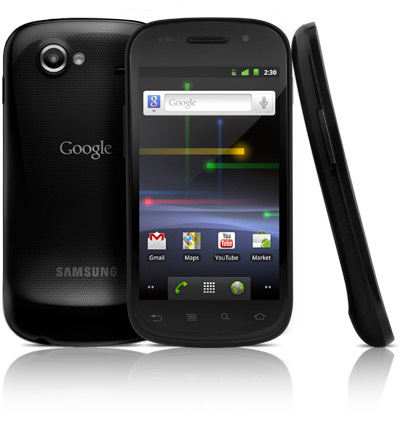 The Google Nexus S will be available in the USA starting December 16 and in the UK December 20. It will be priced at $529. I *hope* they won’t leave out the Philippines in their list of available countries this time. To ramp up excited over their new phone, Google is giving away units through a yet-to-be-announced contest on Twitter. Follow Google Nexus to keep yourself updated. Here is Google’s official announcement with some commentaries from its developers. the phone’s features are all beefed up..